After two weeks in Pader in Northern Uganda we have made our way back down to Buwate, a suburb of Kampala. It is an interesting mix of rich Ugandans who have bought land outside the city plus some very poor people living day to day in serious poverty. Coaches Across Continents is in the second year of our Hat-Trick initiative partnership with Buwate Youth Sports Academy, which focuses on having local youth participate in soccer so that they avoid the temptations of gangs, drugs, and other social problems. 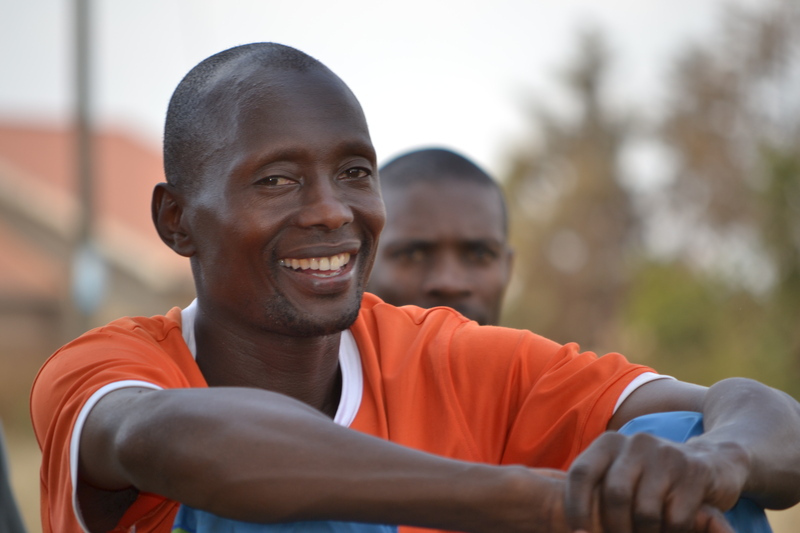 BYSA was founded two years ago by Kato “Richard” Ssebunya, a former Ugandan international football player. They are a relatively small but growing organization with four coaches and approximately 175 kids. We have worked with their coaching staff as well as ten other coaches from the area who we believe will help to use sport for social development in their own communities. 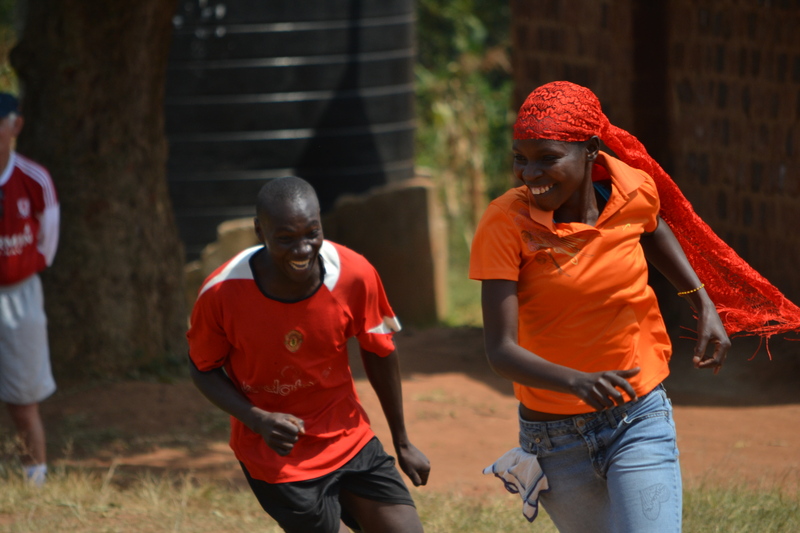 We have implemented a curriculum that addresses the main needs of integrating social messages with soccer skills, focusing especially on health & wellness (including HIV). 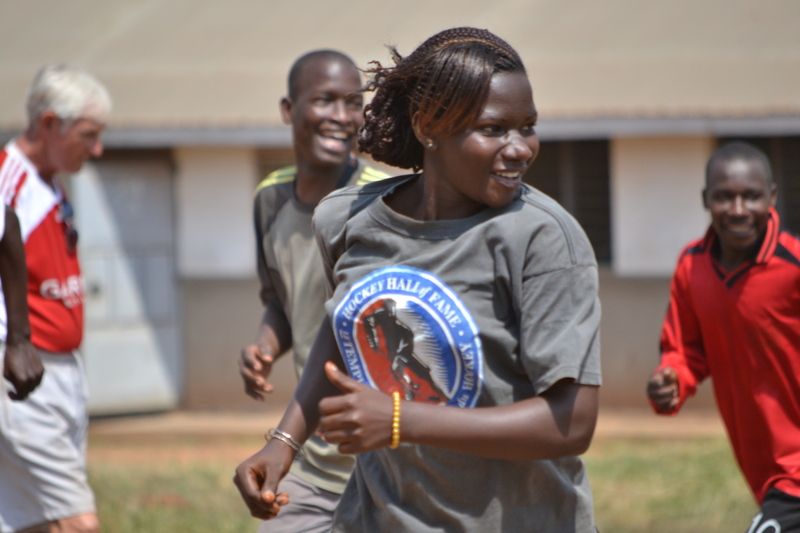 We have also identified the serious need for more girls to participate in their programs. With the first day of our program coinciding with the Women’s World Cup final we were able to drive home the message to the local coaches of the need for more women to participate in soccer. They seem to understand the positive change that this will foster in the community, but in practice it becomes more difficult to implement as that is going against the cultural norm here in Uganda. We will continue to work with BYSA and all groups to continue to promote female empowerment and participation of girls in sport. We look forward to next year and seeing the amount of female coaches and players so we can see the progress that is made over time. The few girls (5-10%) and coaches (2 out of 14) that have participated in the sessions this year have been excellent and we have high hopes that increased female participation will lead to real behavioral change. Spending the last week in the relative comfort of a suburb of Kampala was a drastic change from the remoteness of Pader, however each and every day you are reminded that Africa remains in charge (leading us to coin the phrase, “Africa wins again”). That point was made clear on our first breakfast here when Nick foolishly waited for the butter and jam to be delivered to the breakfast buffet before toasting his bread. In the two minutes it took for the condiments to be delivered, the power went out and Nick was left to rue his patience. Africa 1, Nick 0. Nick left shortly thereafter for meetings in England and America without evening the score. Africa wins again.